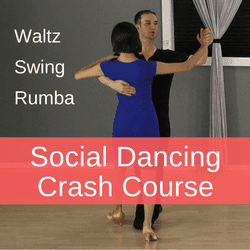 The 3 free beginner Rumba dance steps below will give you a great foundation to get started with this dance. They are the box step, side basic, and the crossover breaks. Each video will break down everything you need to master it. Pay a special attention to the end where the teacher, Leon gives lots of useful Technique tips. Before you can dance you need to understand how to count the Rumba. The basic Rumba rhythm is "Slow, Quick, Quick" - Where the Slow gets 2 beats and each Quick is 1 beat. Make sure to hold the slows to ensure that you stay on time with the music and your partner. 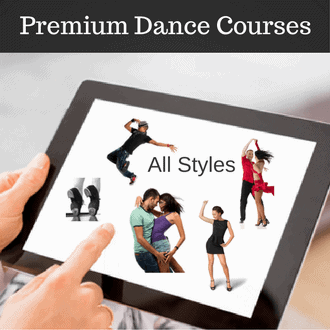 The Rumba Box step is one of the most used steps in the American Rumba. Imagine you have a box in front of you, now just step on the corners of the box. Make sure you change weight every time. This is another fundamental basic step of the Rumba. It consists of 6 steps total. Start by stepping to the side and then bring the leg to close and then make 2 changes of weight in place. Repeat on the other side. The Crossover breaks in Rumba is a very nice step because it opens up the space between the partners. Both partners switch hands as they open up to right and left - extending the opposite hands.